If you’re looking for the best way to get yourself the healthiest you can be this spring, sprouts are a great way to do it. After a long winter of inactivity, sprouts are a great way to recharge your energy levels. Maybe you’ve already tried germinating watercress, mung beans, or even lentils, but did you know you can juice them as well? The nutritional benefits of sprouts are enormous – sprouting seeds or legumes increases their nutritional content from five to thirty times that of their mature forms. Just one handful of sprouts gives you a serious amount of vitamins and minerals (vitamins A, E, C, and some B vitamins, calcium, iron, zinc, magnesium, selenium, manganese, potassium, copper). In addition, green sprouts contain chlorophyll, which is beneficial for our blood. Not only that, but sprouts contain a high proportion of protein, comparing favorably with meat. Even better, they are easy to digest.You are sure not to have an upset stomach after easting sprouts! You can juice almost any sprouted seed or legume (the exception being those beans which must be cooked before consumption). 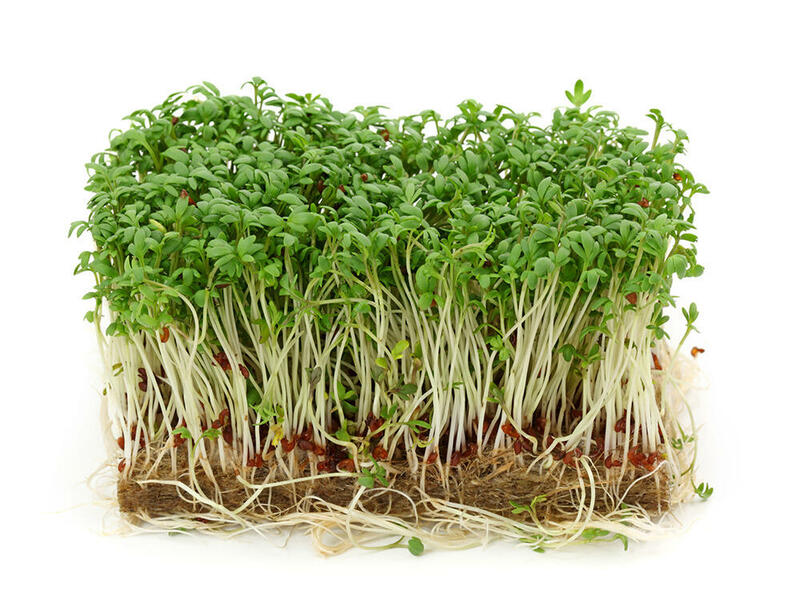 Some things to try include watercress, alfalfa, broccoli, radish, sunflower seeds, chickpeas, lentils, peas or mung bean (mung and adzuki beans are the only ones that can be eaten raw after germination). Sprouts juice the best on a single auger or twin-gear jucier. You don’t need to peel your sprouted seeds or legumes – it’s OK to leave the skins on. You’ll get a better juice yield by pre-soaking the spouts at least a few hours, or preferably overnight. Sprouts are best juiced as an ingredient to be mixed with other juices. By themselves it would take a lot of sprouts to make a glass of juice, plus the resulting juice would be thick and dense. But they are great added to juices made from root vegetables or leafy greens. They also go very well with apple juice. While juicing sprouts, don’t juice them all at once. Alternate them with whatevevr other produce you are juicing. If you’re not used to sprouts, start slowly. Try maybe a tablespoon your first time, and gradually work up. Bonus tip: Add juiced sprouts to a smoothie!